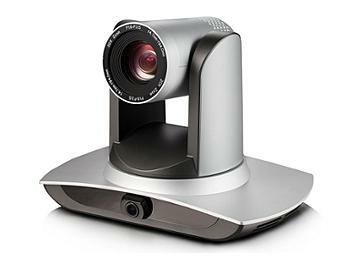 The Globalmediapro UV100T-20/6-ST is an HD-SDI, IP PTZ camera with auto tracking for interactive classroom and similar applications . Powerful recognition algorithm adjustable for a particular scene/location. Sophisticated tracking algorithm achieves stable, fast and accurate target tracking. Adjustable movement sensitivity - the camera does not follow small movements of the target. Maintains target scale using zoom. Automatically corrects target exposure depending on the lighting situation.